A bulk bag of 100 Czech glass Preciosa Ripple beads in California Night colour. 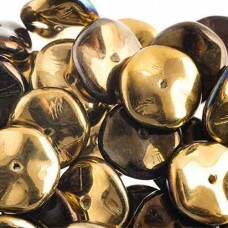 Each bead is approximately 12mm in size with a 'rippled' side and central hole. Available in a wide choice of colours.